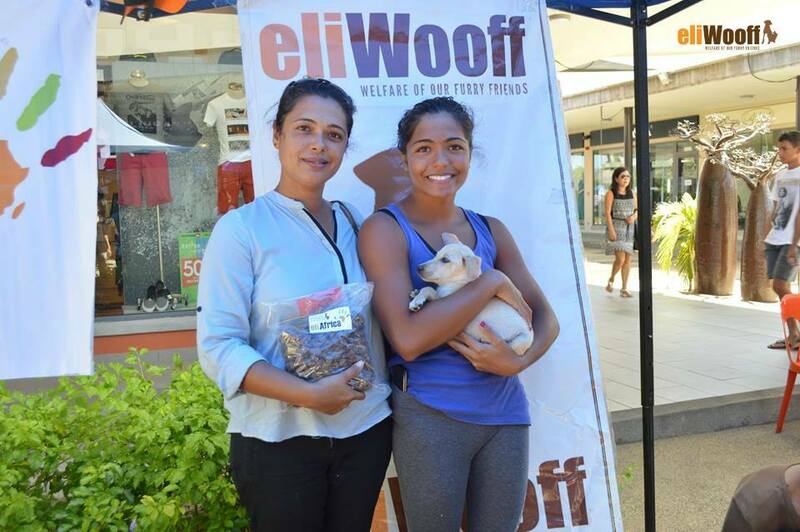 It was with great enthusiasm and with firm belief in our values and endeavor for a better world for our animals that we, the ELI WOOFF Team, headed to Trianon Shopping Park on Saturday 09 April for our very first adoption day. Our objective: To find a forever home for the 8 dogs and 2 kittens that accompanied us on that day and to educate people on responsible pet ownership. Minutes after we set up the marquee, a crowd of people gathered, attracted by our cute and adorable friends! On that day we met many people. Some congratulated ELI WOOFF for the wonderful work we have been doing so far. Some wanted to know more and join our team. And some agreed to spend the whole day with us and here I remember Mrs. Merveille, a vegan and animal champion with whom I had the opportunity to share my interest for a better world for all animals. From setting up the marquee to welcome the public to conducting a survey on responsible pet ownership, from explaining people the WHYs they should make adoption their first option to encouraging animal lovers to donate to our cause, and from taking care of our pets on the day to ensuring that the latter are going to a chain free home where they will be given immense love and care, our volunteers rallied their will power and dedication to make this adoption day a success! As our dogs got adopted, we experienced a feeling of mixed emotions: sad to bid them farewell but glad and satisfied that they found a forever loving family. Congratulations those families who have agreed to make adoption their first option and to give a second chance to our rescued pets. We cannot wait to hear how these cuties have changed your life when we’ll come for adoption follow-up visits! It was ELI WOOFF’s first adoption day and we are convinced that this will definitely not be the last adoption event we organize.